As one of the most notable softball personalities, Chuck McCord has fulfilled the leadership role of President of the National Amateur Softball Association of the United States for 1984-85, and in this capacity has traveled internationally for the past two years promoting the inclusion of softball and baseball in Olympic competition. Chuck has excelled in softball as an athlete, official, manager and commissioner. This is the second time in his career that he has been recognized with the Neve Harms Meritorious Service to Sports Award having received it previously in 1972. He was also inducted into the Greater Peoria Sports Hall of Fame in 1982, and is a member of the Illinois Hall of Fame. 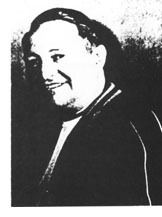 Chuck has been connected with softball since 1947 when he was named manager of the Caterpillar Dieselettes. Through 1972 his teams won 886 games, lost 201, and competed in 18 national tournaments. 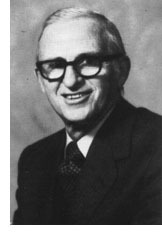 He served as Illinois State Softball Commissioner from 1953 to 1985. McCord has served as administration manager of the Pan-American games for softball and has recently been appointed by President Helmick of the Olympic Committee as a member of the Olympic Sports Festival Committee for four years.